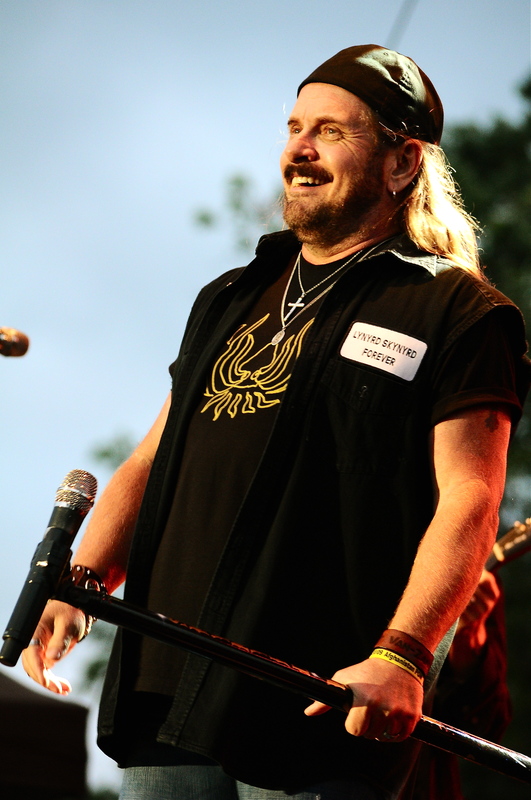 The southern rebels known as Lynyrd Skynyrd returned to Artpark Tuesday to spread their infectious blend of southern rock to a sold out crowd. 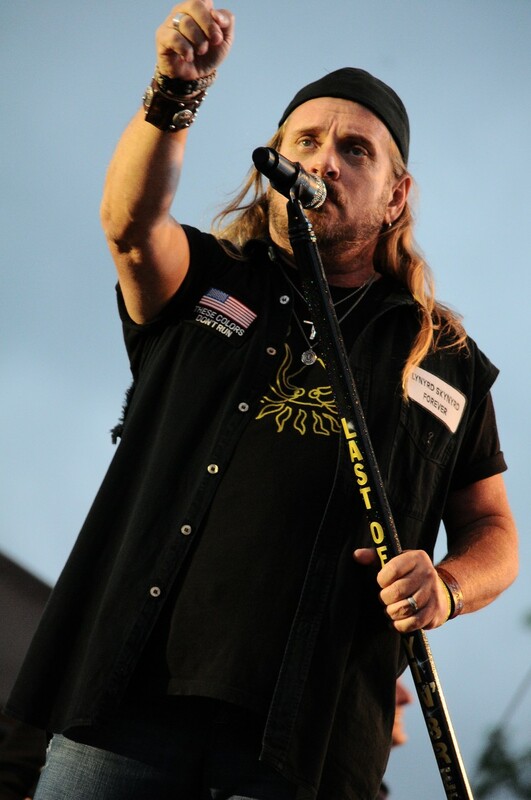 As singer Johnny Van Zant asked “who here is a diehard Lynyrd Skynyrd fan”, the place erupted louder than perhaps he even expected. This appearance may be a little less subdued than in 2011 when an over expected crowd gathered to see the band. That show in 2011 was one of the reasons why Artpark had to make modifications to be able to accommodate the crowds. 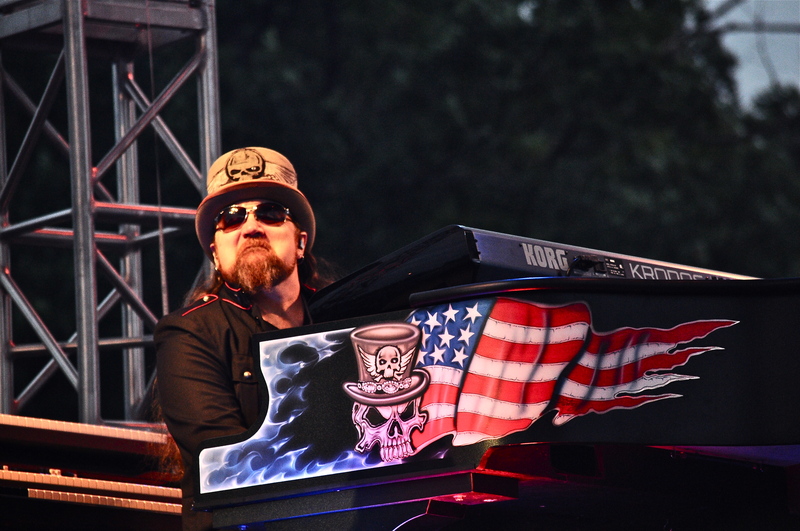 The changes were astutely noted by Van Zant at one point during the show. Taking the stage to the classic “Call Me The Breeze”, helped set the stage for another solid performance from the southern rock pioneers. By the time the band delved into “What’s Your Name” and “Gimme Back My Bullets”, they had the crowd eating out of the palm of their hands. The band has made one change since that last infamous visit as Johnny Colt has joined them on bass. 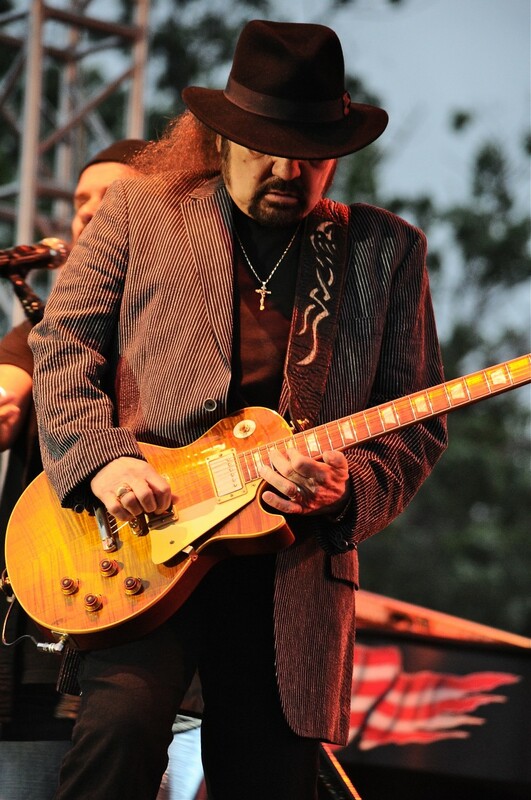 The band is still led by guitarist and founding member Gary Rossington who has been around since day one. Joining him on guitar is Rickey Medlocke who not only played with Skynyrd briefly in 1970-71, but also was the leader of southern rock outfit Blackfoot. Guitarist Mark Matejka rounds out the triple guitar assault. Peter Keys is still tinkling the ivories and drummer Michael Cartellone rounds out the lineup. Cartellone, the former drummer for supergroup Damn Yankees has been lending his talents since 1999. One thing that glaringly sticks out was the manner in which the band constructed the set list. They never really had a point in the show where they lost the crowd by effectively mixing in lessor known songs like “Mississippi Kid” and “I Know A Little” by sandwiching them around standards like “Saturday Night Special” and “Simple Man” which they dedicate to the members of our Armed Forces every night. It would not be a Skynyrd show without the classics “Gimme Three Steps” and “Sweet Home Alabama” as those two songs not only brought the house down but also closed out the main set. You did not have to be a brain surgeon to know what song the band would play for the encore. When the band hit those magical notes, the crowd reached its loudest point that it had been at all night. I don’t think anyone can envision a Lynyrd Skynyrd show ending in any other fashion. Despite the weather being chillier than normal for mid August, it did not deter the diehard Skynyrd fans from dressing a tad warmer to see their favorite band come play. 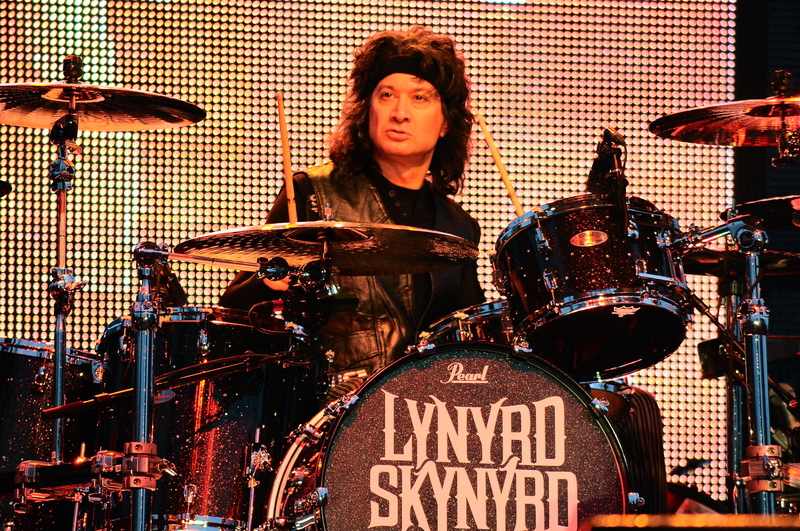 The band did what it normally does by delivering a solid show that carries on the Skynyrd tradition.